On our trip home from Italy we stopped in to Singapore for a few days. 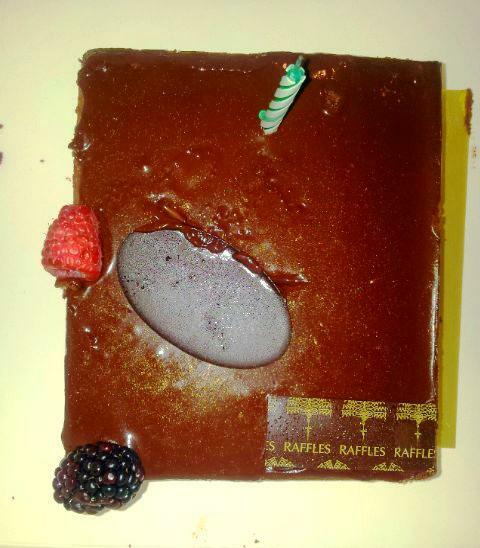 On top of our to do list was High Tea at Raffles for, yes, another birthday. Not mine, my friend’s birthday. This was her special request, and special it was. 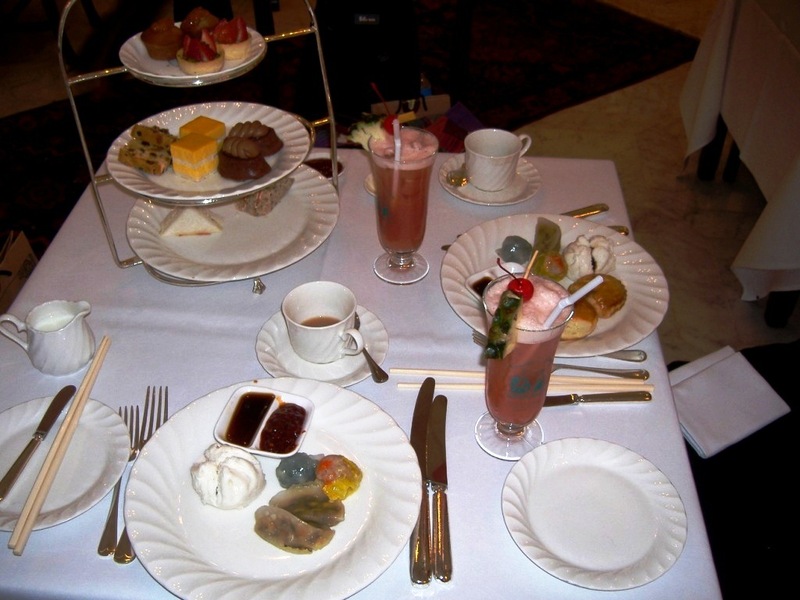 High Tea is served in the Tiffen Room of the famous Raffles Hotel between 3:30 pm (3pm for arrival) and ending around 5-5.30pm. However, if you arrive early they have some lovely little shops and a courtyard that you can wander through. We were shown into the dining area to a lovely table for two. The settings and décor did not disappoint. I thought to myself, what’s not to like about sipping champagne, eating delicious little cakes and sandwiches and being serenaded by a harp in opulent surroundings?!! Our selection for the day included: unlimited teas and coffees and an amazing three-tiered tower of delectable morsels. Then from the buffet: cranberry bread and butter pudding, vanilla pod sauce, scones with clotted cream, fresh raspberries, creme caramel, cucumber sandwiches, dragon-fruit, chocolate tarts, chocolate eclairs, chiffon cake and dumplings, samosas and spring rolls. Our young man from the UK was telling us the origin of the Singapore sling so after our high tea we went off to the Long Bar, the birthplace of the Singapore Sling. 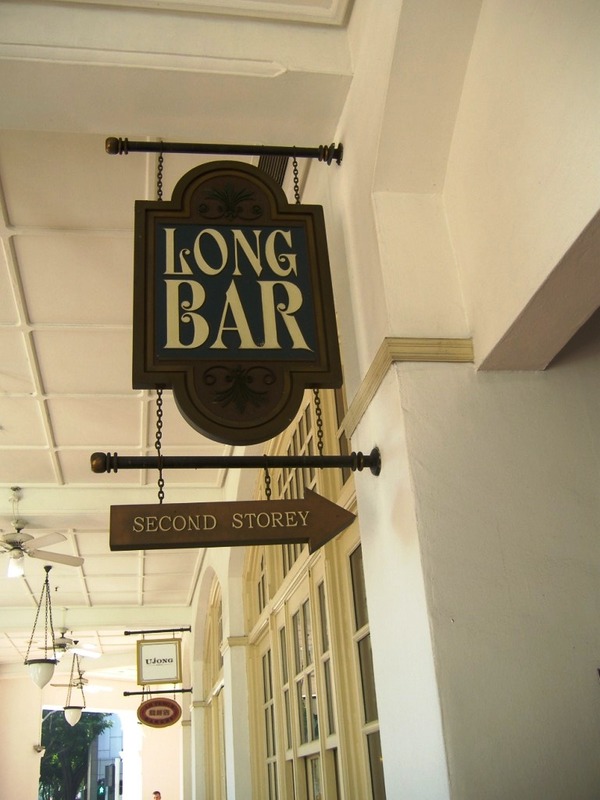 If you have the time when you are in Singapore a trip to the Long Bar is well worth the visit. This is one of the few places that is still colonial in feel. The famous Singapore Sling is a must-have drink, even though it is a bit pricey just think along the lines of being in a world-renowned place and part of the drink cost is like an entry fee just like any other attraction. Sit and soak up the atmosphere and be mesmerised by the old-fashioned ceiling fans and the unique tradition of throwing peanut kernels on to the wooden floor. The large box of peanuts are part of the cost of the drinks.